Purchase your press consumable without ever leaving the pressroom! This past month, National Offset Warehouse unveiled a re-designed website aimed at giving pressman and pressroom managers, a cleaner, easier, shopping experience. Time is money when running printing presses and we figured anything we could do to reduce effort during your buying experience would fits with our goal of saving offset printers money! We now feature a mobile optimized theme that will load automatically from your iPhone or Android device. 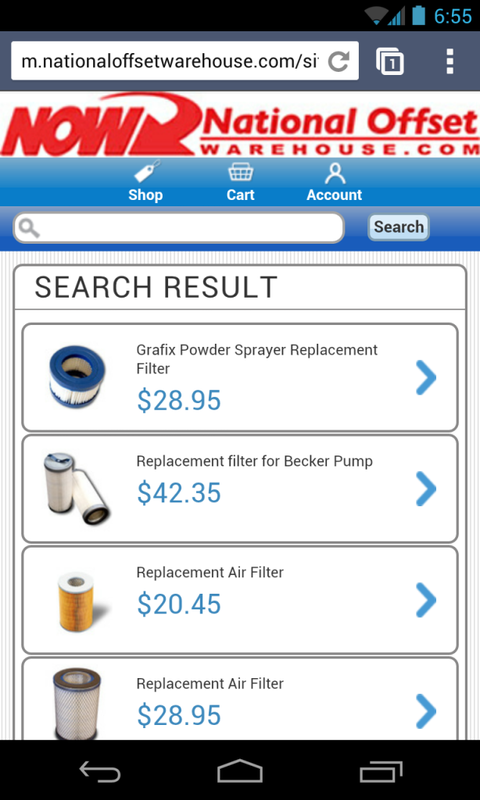 You can now browse press consumables and make purchases right from your smartphone. Of course, if you find it easier to browse from a desktop PC, you’ll find our website has been re-designed to put more products in front of you making it easier to find what you need. Find your products right from the pressroom! Lower Prices on Technotrans Water Filters! You’ve spoke and we’ve listened. Many of you have called in asking about quantity discounts when it comes to your Technotrans water filters. Ask and you shall receive! 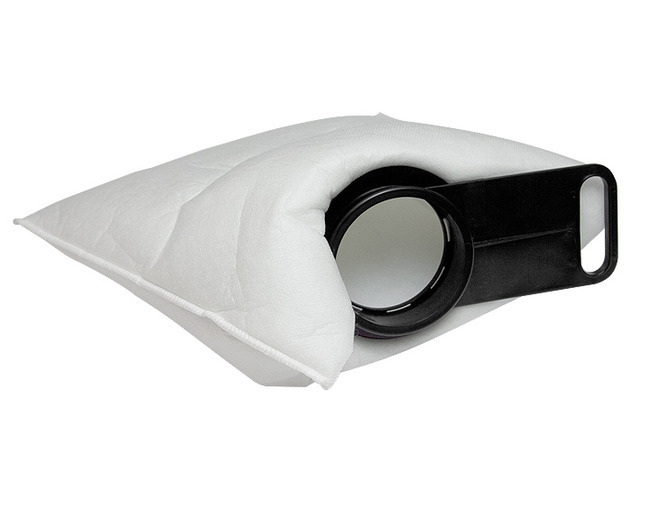 We now offer volume pricing on the Technotrans Water Filter Bag #FBC-23A. Our normal price is $31 and when you order 4 or more, the price drops to $27.50, and if you want to save even more you can order 10 for a low price of $25.50 each! Click the image to be taken to our site to learn more. We’re working hard to put our 40 years combined experience in the offset printing industry to work. One way we’re doing this is adding more product information to our categories, as well as providing links to similar products you may also find useful. For instance, someone searching for Ink Fountain Liners, may also be interested in Tesamol Strips and Foil underliner. By placing these links right on our category pages, we make it easy for you to find all the products you need to keep your press running smoothly. Go ahead, try it out by clicking here. Using Loupes and Magnifiers in the pressroom? See our handy guide below! x 1″ Linen tester (6X) General-purpose work. The graphic arts most popular magnifier. Plastic Base Loupe Excellent working distance, wide field and clear base makes this unit best suited for darkroom and stripping areas. 10X & 12X LithoMags Sufficient working distance to be used in stripping department for touch-ups. Achromatic lens system is perfect for press checks. 20X LithoMag Higher magnification shows some spherical aberration. Reduced working distance. Best suited for camera focusing, registration checks, slur and gain checks. Swivel Base Loupes Moderate working distance allows unit to be used in stripping department. Use in pressroom for registration checks. Swivel Base Loupe Achromatic lens system. Reduced working distance due to high magnification. Lens shows some spherical aberration. Adjustable focus lens with locking ring. Best suited for critical camera focusing, registration checks, dot gain and slur checks. 50X, 75X and 100X Pocket Microscopes Used for close-up inspection of small areas. Pen-style makes them handy to keep in your shirt pocket. – 200X Stand Microscopes Used for the most critical checking of register and dot structure. Should be used to view printed circuit boards and bar codes. 8X Econo Loupes General inspection work in pressroom and camera department. Clear plastic skirt prevents working under lens, so they are not recommended for stripping. Last but not least, if you have any questions at all, please call our friendly customer service at 800-669-0564 or email us at sales@nationaloffset.com. 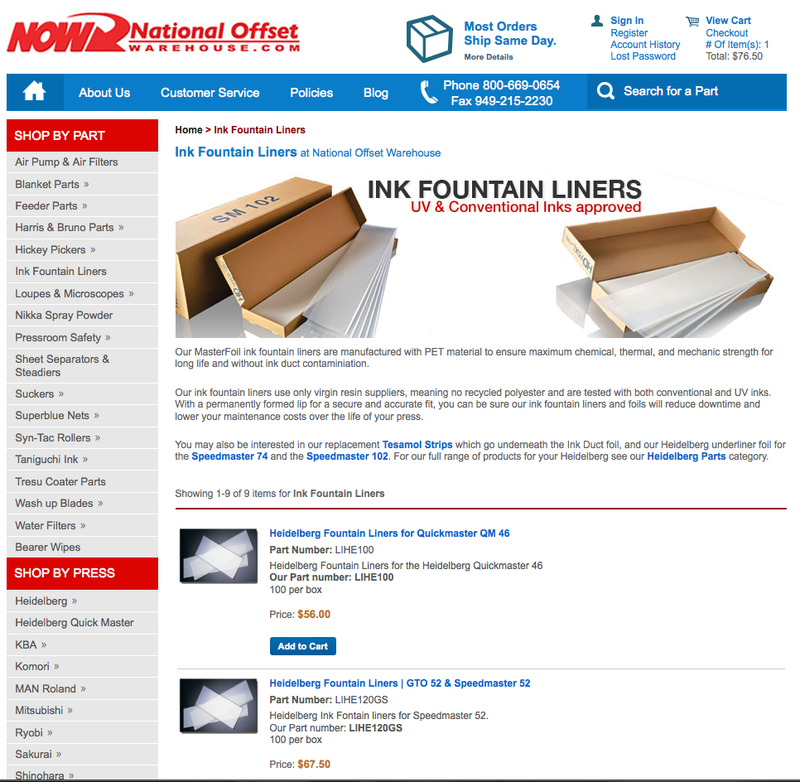 Comments Off on National Offset Warehouse Unveils New Web Design & Mobile Site! SKS microscopes and loupes are now being carried at National Offset Warehouse. We decided to add these products after seeing how well our Beta, Peak, and Lithco printing loupes were selling. The SKS loupes start at under $25, while the SKS microscopes start at $185. The SKS stand microscopes come in 25X or 50X versions. They are available with or without reticle in standard or metric measuring units. With all these options, it’s eays to find the perfect microscope for your printing job. See the table below to find the exact microscope for your pressroom. SKS loupes and microscopes offer high performance, yet are simplified practical instruments with very sharp resolution. The observed image is very clear as the result of careful optical correction. All of the SKS loupes and scopes offered by National Offset Warehouse feature top quality optically ground glass lenses. Digital Microscopes and Magnifiers in stock! This may be the smallest and lightest portable digital microscope in the world. It is the ultimate loupe / magnifier for various applications requiring detail magnifications. This unique tool, slightly larger than a deck of cards, has a real time LCD display, image capture up to 60 photos (internal memory storage), adjustable focus, and adjustable LED light intensity. Moreover, it has a 262K color TFT LCD display, special image effect functions, easy-to-use control panel, PC interface, and software (CD ROM – Windows only) to upload or to evaluate the captured images. The UM-02 is a high-resolution digital microscope with 2.0 MP image resolution in an ergonomic and handy design. It functions as a digital microscope, digital camera, and video recorder. The UM-02 fits comfortably and ergonomically in the hand. It slides easily and safely over any paper or surface to photograph or film with microscopic precision at up to 320x magnification on a 22″ monitor. The UM-02 is ideal for use for graphics, quality control, medical and electronics applications. This is a USB digital pressroom magnifier that must be plugged into a monitor or computer to work. Comments Off on Digital Microscopes and Magnifiers in stock! 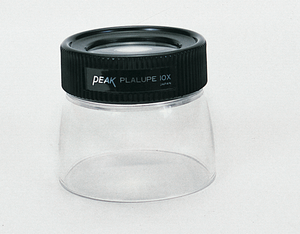 National Offset Warehouse is a premier distributor of loupes, magnifiers, and microscopes manufactured by Peak Optics. As our one of our best selling products for printers, we decided to dedicate an entire “Peak Optics” category on our website. Customers can now find our all our Peak products by navigating to Tools => Peak Optics. There you will find our assortment of Peak Loupes, Peak Magnifiers, and Peak Microscopes at discount prices on one easy to view page- Just another way National Offset Warehouse is saving you time and money. Check them out today! That’s correct, October is our optics month at NationalOffsetWarehouse and we’re adding products to meet all your optics needs in the press room. Our latest additions are below. Beta “S” Series Color Relfection Densitometers. BetaColor Densitometers are popular because they are easy-to-use units for all press levels and types while retaining advanced features. Speaking of easy to use, did we mention that BetaColor Densitometers require ZERO maintenance, and have automatic modes for both dot grain and trap? Starting at only $1,849.99 these come with full customer support from Beta Industries and a 7-year warranty on Perma Filters and the light source. Betalog Transmission Densitometer 150. Beta Industries compact & portable transmission densitometer with a built in light source and serial data port. This classic densitometer has stood the test of time due to its solid reputation for performance where it counts. At only $1249.99, this small investment will surely save you some serious coin. Simplifying things a bit, NationalOffsetWarehouse brings you a 30X illuminated pocket microscope. Instead of relying on lighting conditions in your plant, guarantee you can see every detail wherever you go with this pocketable, AA battery powered, 30X illuminated pocket microscope. At only $29.95 each, you can afford to have 3 or 4 of these in your press room to help run your plant more efficiently. October must be the month of press room optics. The sun’s going down earlier, the weather’s turning cold, and we have the products to keep your print jobs registered and bright for your customers. As most of you know, we carry a quiver of press room loupes & optics; however in light of the shortening days, we decided to add something to help your eyes. The LumaMag Add-On Light works with 10X Betamax, Paragon and Lithomag folding loupes and costs $38.75, while the 12X version works with Lithomag and Betamag folding loupes and costs $41.75.